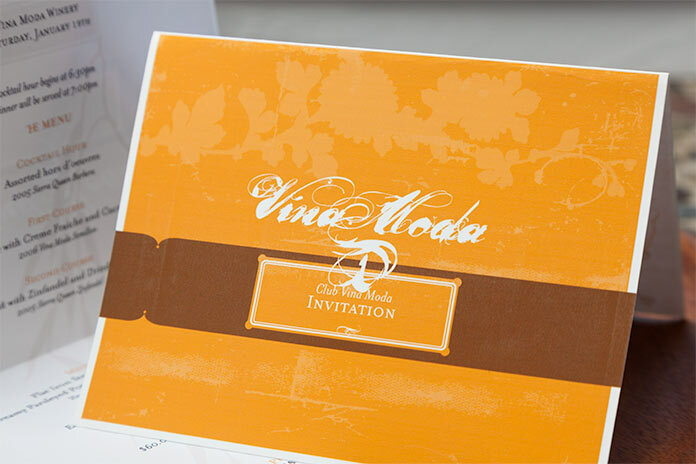 Branding to showcase Vina Moda’s balance between tradition & innovation for their artisanal wines. A hand crafted boutique winery, based in the Sierra Foothills town of Murphys, California. 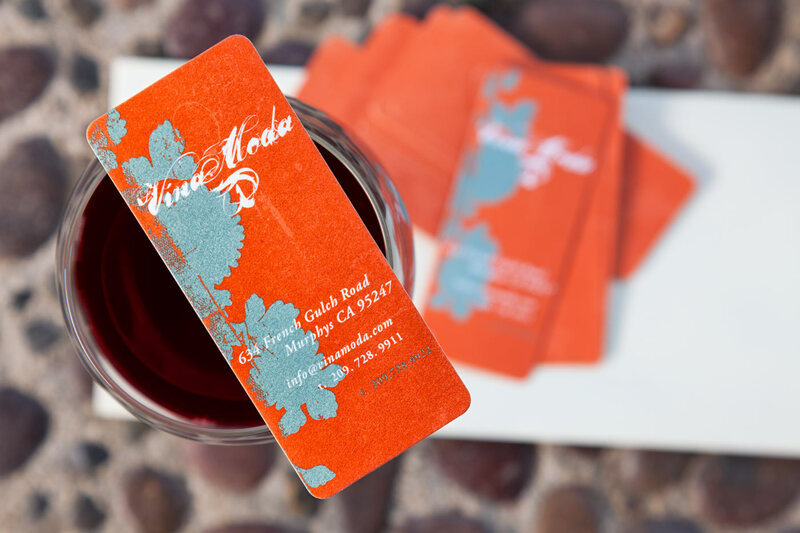 Rocketroom created all aspects of the Vina Moda branding to convey an approachable & hip, yet elegant look for the award winning winery. 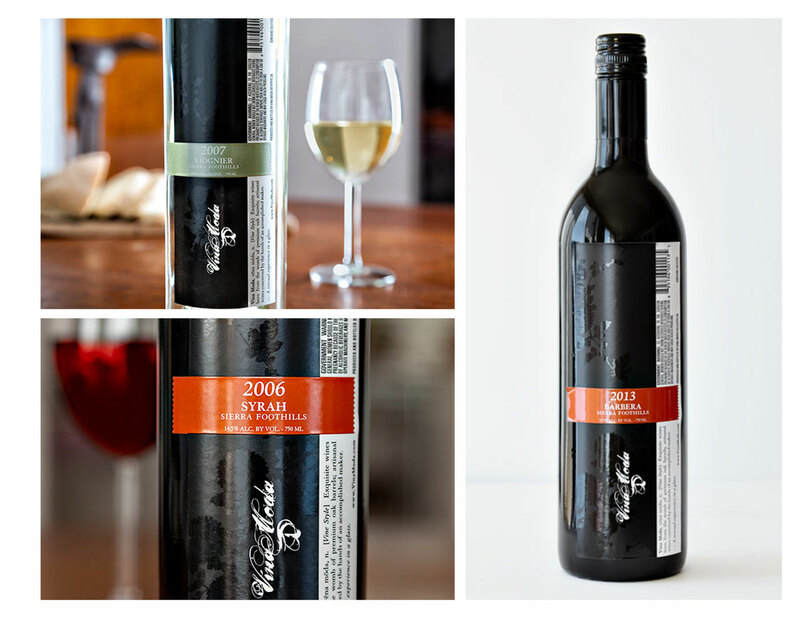 The logo was designed with a edgy, beautiful type treatment to reflect the winery’s unpretentious, yet expertly styled wines. The business cards incorporate organic forms with flowing calligraphic artwork on an imperfect scratched background. 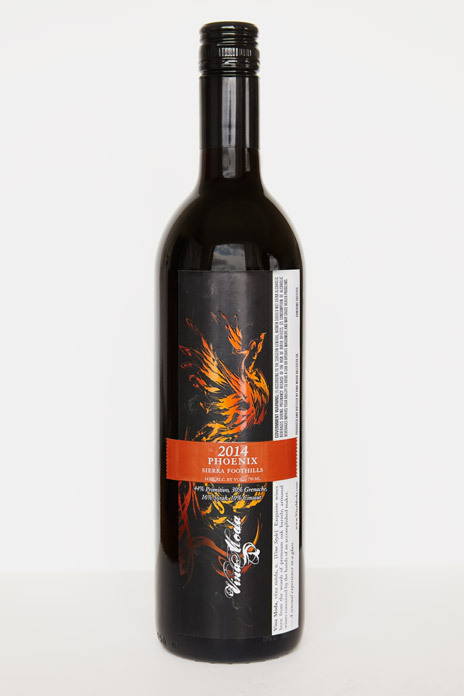 The Vina Moda wine bottle labels were designed to convey a raw, cool beauty; utilizing an industrial barcode, right alongside a black pearlescent floral pattern. 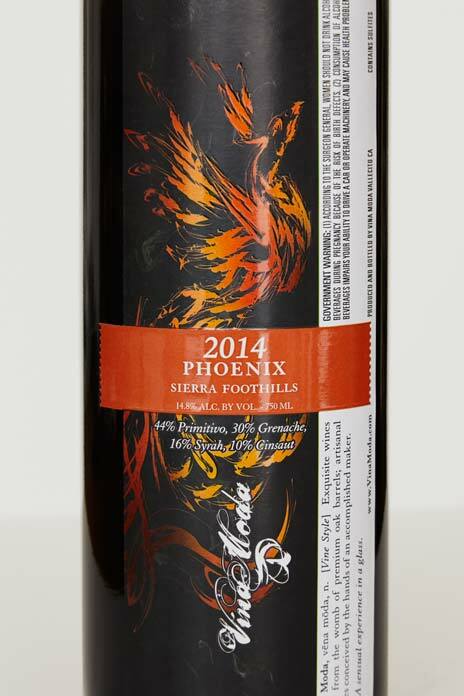 The Vina Moda ‘Phoenix’ wine bottle label was designed to evoke a sense of renewal & hope, after wildfires ravaged the winery’s foothills region. The winery is generously donating a portion of each sale to help those who lost their homes in the fire. 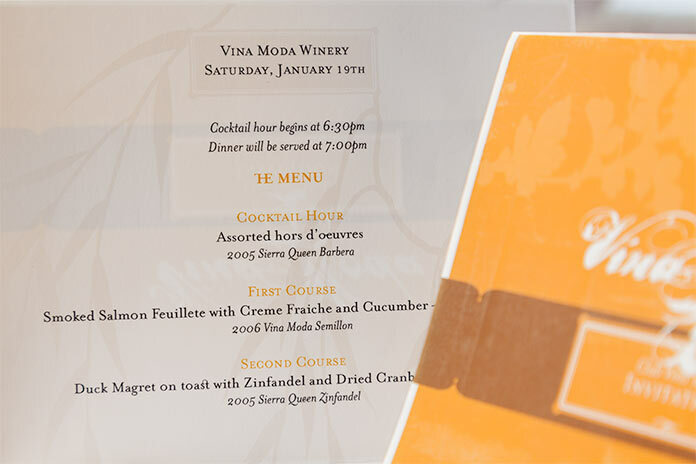 Wine club invitations detail the scrumptious feasts the winery hosts. 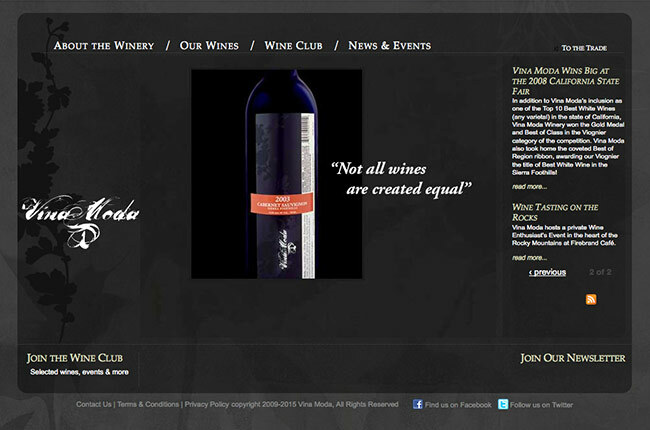 The website reflects the creativity and enticing allure of the exquisite wines. “The team at Rocketroom are creative geniuses that are an absolute pleasure to work with. Rocketroom was able to make tangible the intricacy, balance and sensuality of our boutique wines. Always seeking a beautiful perfection, Rocketroom’s designs never fail to leave our customers, as well as ourselves, awe-struck every time. The boutique winery has won numerous gold awards; including the prestigious Sunset Magazine Wine Competition & San Francisco Chronicle Wine Competition; prevailing over some of the most established wineries in California..